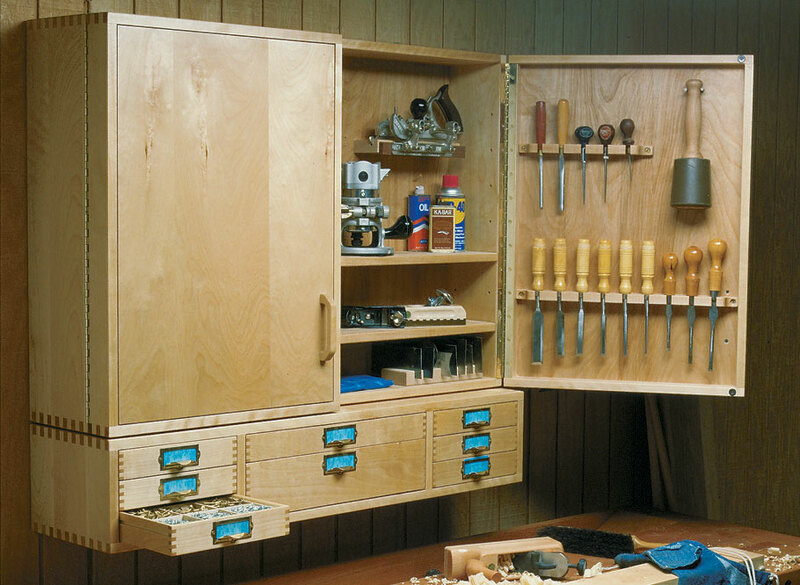 If there is one common theme across workshops, it has to be the lack of storage space. 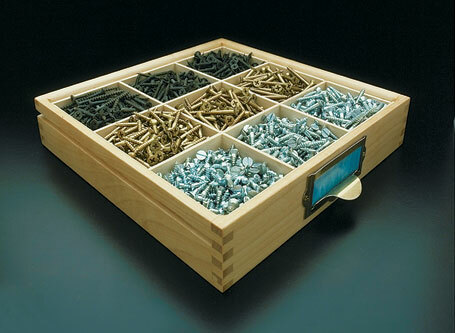 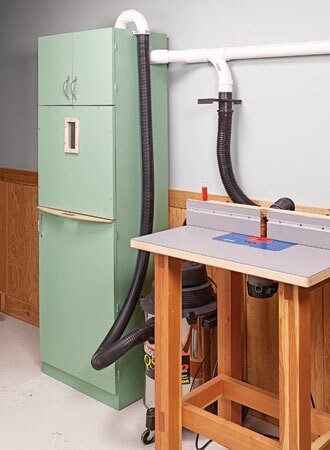 This wall-mounted tool cabinet goes a long way to alleviate that problem. 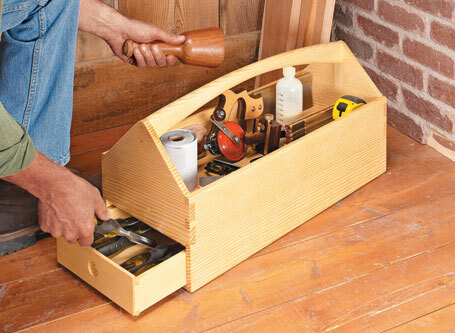 Not only does the cabinet offer enough depth to store hand or power tools, but the doors offer extra storage for smaller tools. 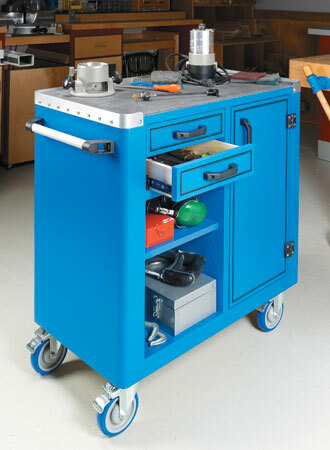 In addition, the eight drawers offer storage for small items you always need close at hand. 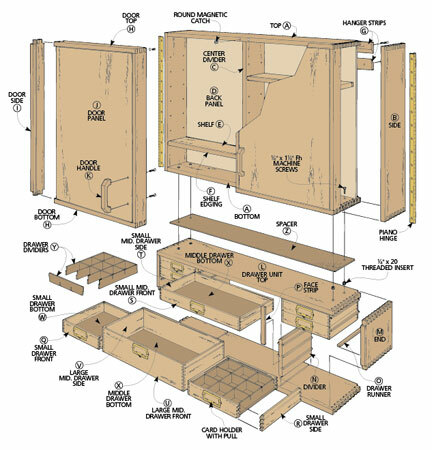 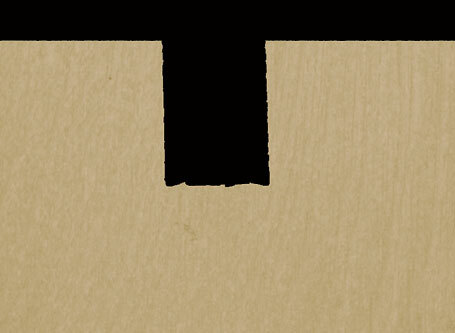 As an added bonus, the finger joint construction makes this project look great.